We have significant experience and resources for implementing Environment Management Systems, which meet the requirements of ISO 140001. Our ASQ international network of consultants and auditors has helped businesses across the USA reduce their carbon footprint, manage environmental business risk, and prevent accidents, which may harm the environmental and personnel. 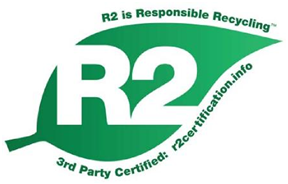 Therefore, we recently have developed a Program for the Implementation of Responsible Recycling (R2) Practices, which shall prepare a business for R2:2008 Certification by an ANAB accredited Certifying Body. We will provide an in-depth business and R2 consultation. We will provide an Environmental Health & Safety Management System (EHSMS) documentation, which includes an R2 policy manual, procedures manual, required forms, logs and a cross-reference index to your external documents, process and work instructions. Optionally, we will include QMSCAPA software for internal auditing, corrective and preventive records for management review. Optionally, we can concurrently prepare your business for ISO 14001 Certification and/or ISO 9001. On-site EHSMS Training Implementation and training workshops completed on your premises. The following table shows a recommended list of training workshops, which are designed to be 3 hours each. Depending upon availability of your personnel, we can schedule 1 or 2 workshops per on-site visit. 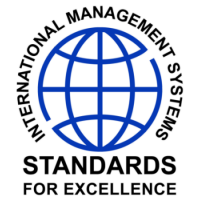 Guidance for Introduction of the R2 Standard, includes Guidance for Provision 1 – Environmental, Health and Safety Management Systems (EHSMS). Guidance for Provision 2 – “Reuse, Recover, . . .” Hierarchy for Responsible Management Strategies, plus Guidance for Provision 3 – Legal requirements. Guidance for Provision 6 – Reusable equipment and components; plus, Guidance for Provision 7 – Tracking throughput. Guidance for Provision 8 – Data Destruction; Guidance for Provision 9 – Storage; Guidance for Provision 10 – Facility security. Guidance for on-going EHSMS personnel training, Internal Auditing and Management. 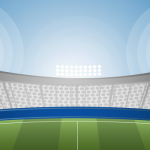 Readiness examination and assessment for R2:2008 Certification Audit.